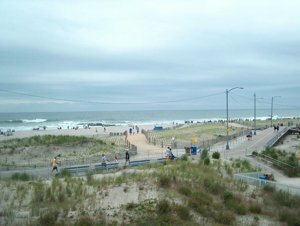 Are you looking for Breakers condos for sale in Ocean City NJ? Located directly in front of beach and boardwalk between second and third street. The Breakers was built in 1983 consisting of 22 units. There is two bedrooms with two and a half bathrooms, three bedrooms with two bathrooms,and four bedrooms with two bathrooms. Magnificent views of the dunes and oceanfront. Walking distance to Brown's Donuts, Ove's Restaurant, and Gillian's Wonderland Pier. Enjoy taking a bike ride in the morning on the boardwalk, the afternoon on the beach, and the entertainment of the boardwalk in the evening. Great great rental income. A must see!